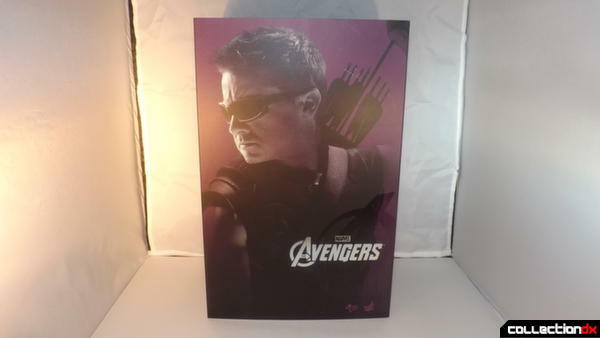 Hawkeye was the second figure released in The Avengers line back in September 2012, in a world with genetically modified people, gods, people with guns and flying battleships and a man in a powered suit, Clint Barton decided arrows would be the most effective weapon. 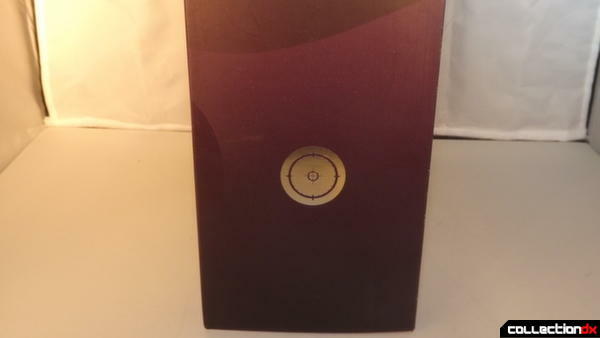 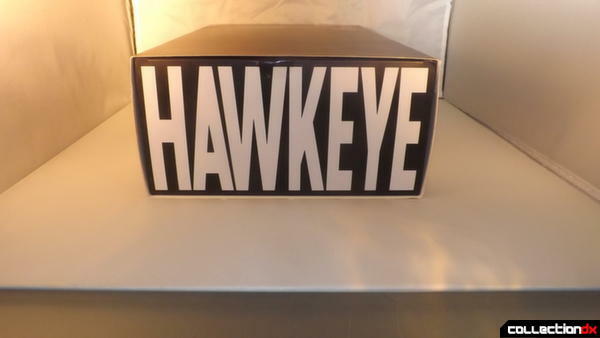 The box is the standard for The Avengers line, character picture on the front, name on the top and bottom and character icons on the sides. 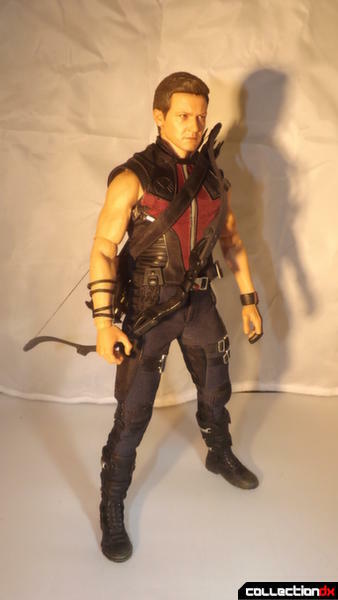 Hawkeye has a cloth and rubber outfit, but i have an issue with the rubber parts at the bottom of his top, they are supposed to clip into his belt but don't stay there and hang loose. 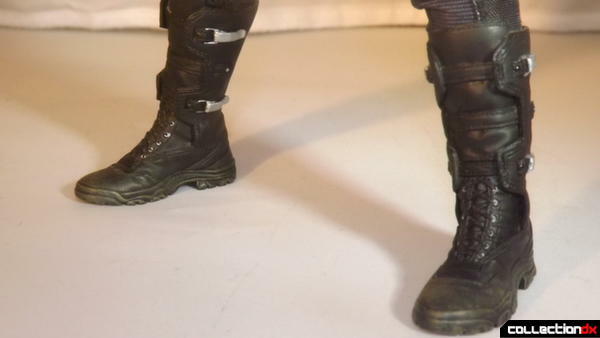 The boots have a slight pivot joint, like Nick Fury it can be difficult to get alot of movement out of the ankles but i would say Hawkeye has a little more movement than Fury. 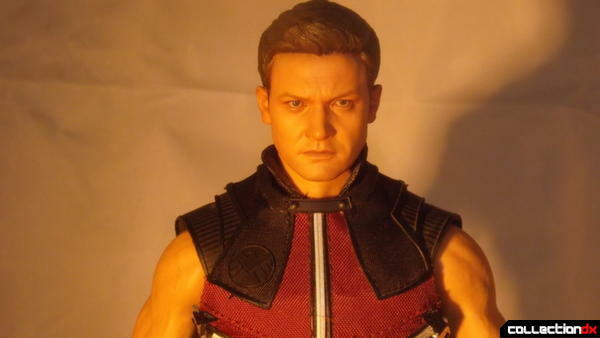 The face sculpt on Hawkeye is up to Hot Toys high standard, it's an excellent representation of Jeremy Renner. 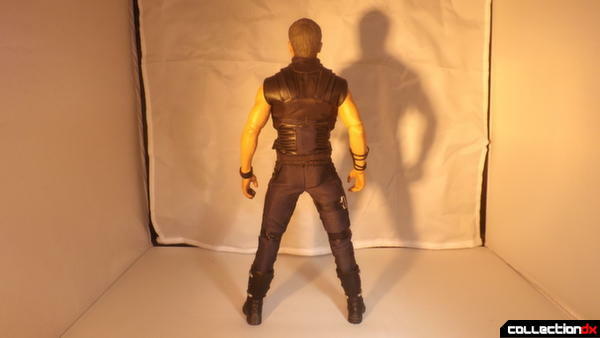 On the right forearm has a wrist guard made of rubber and can be moved, it does have a tendency to slip down when posing but you can fix it into a position when posing and it should stay where you left it when you have the figure on the shelf. 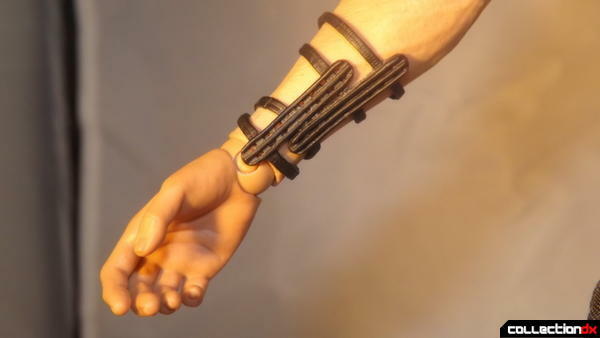 The left hand has an archery hand guard on the wrist and over 3 fingers, each hand sculpt on the left has this hand guard. 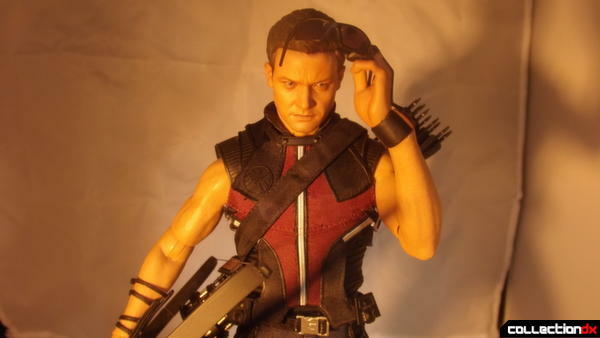 The arm has some interesting hair detailing which is unpainted, well i assume it's hair, i'm not sure Hawkeye is into self harm. 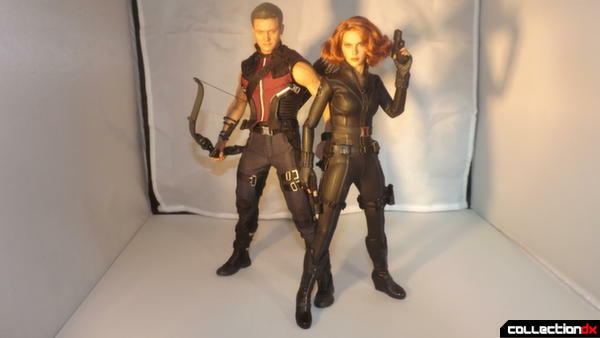 For accessories, there's quite a bit, the most for any single character in the Avengers line. 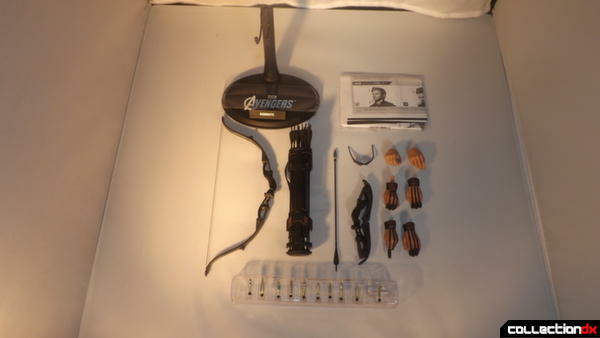 So, the standard Hot Toys stand and instructions, two right hands, four left hands, quiver, stringed bow, unstringed collapsible bow, 16 arrows, 11 different arrow heads, and some sunglasses. 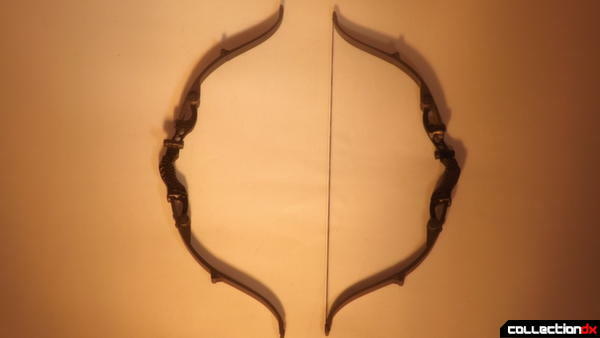 The stringed bow has a functional firing mechanism, by that i mean it draws and fires like a real bow, just shrunk down. 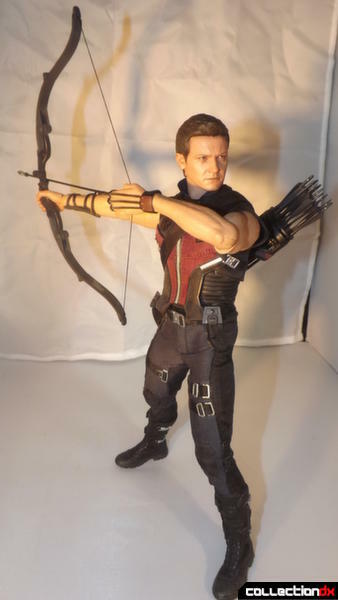 Unfortunately the way the arrows connect to the bow means they won't fire like a real arrow. 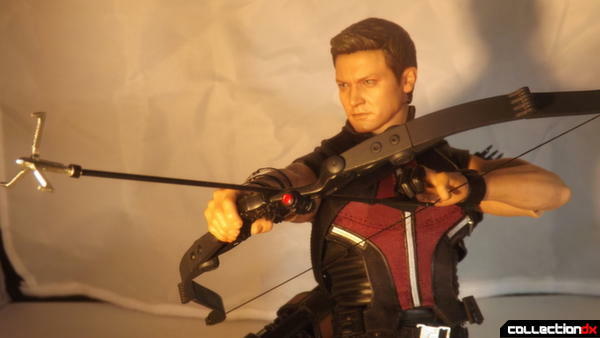 The grip and laser targeting is well detailed, the grip having indented buttons that Hawkeye used in the film to choose arrow heads, in the toy these buttons have no articulation. 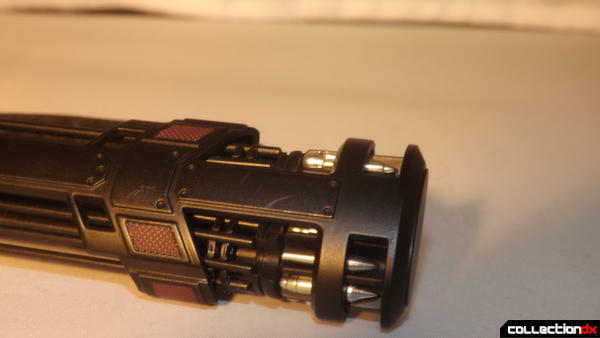 The laser sight is a clear red plastic. 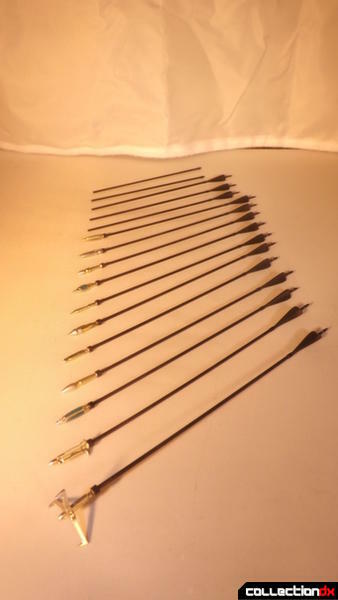 The quiver has room for every arrow in the set to be stored, each arrow has a small hole to plug into, as you insert them (slowly) you need to line them up with two clips at the top and bottom inside the quiver so they line up nicely and more securely. 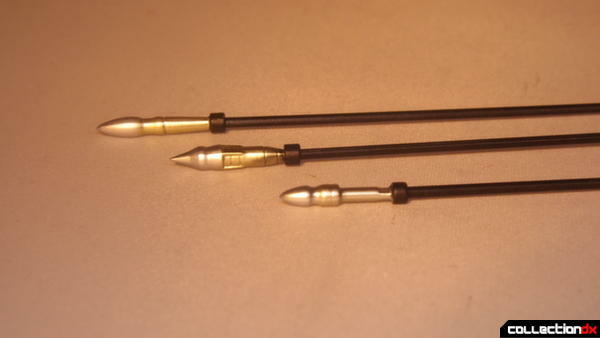 It can be difficult sometimes to get them to line up, i suggest inserting the inner arrows first and working your way out. 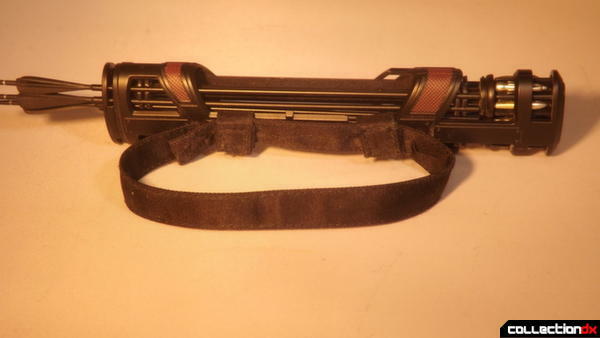 At the bottom of the quiver are non-removable arrow heads, these are here more for looks than functionality. 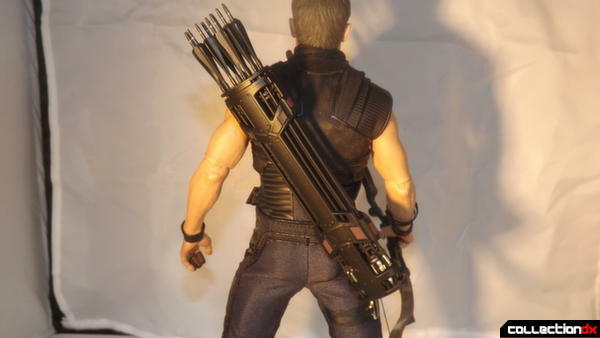 The quiver has two ways to fit on the back of the figure, a small slip that fits into the quiver and slides onto the centre of Hawkeye's back, or you can attach a cloth strap that i feel is far more secure. 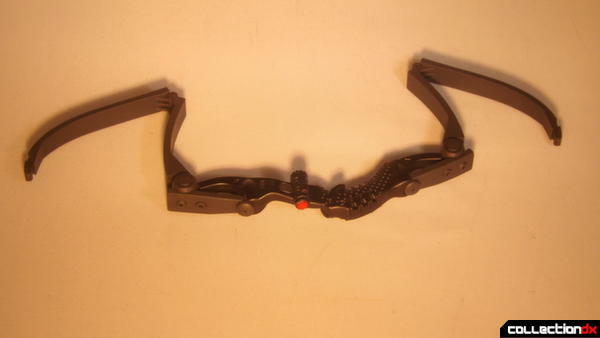 The arrows are all the same, each is made of plastic but can be quite fragile. 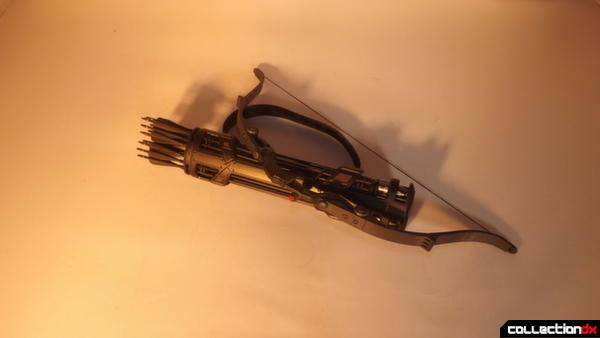 I've accidentally broken off the fletching (the feathered parts at the back) on two of them while trying to remove them from the quiver. 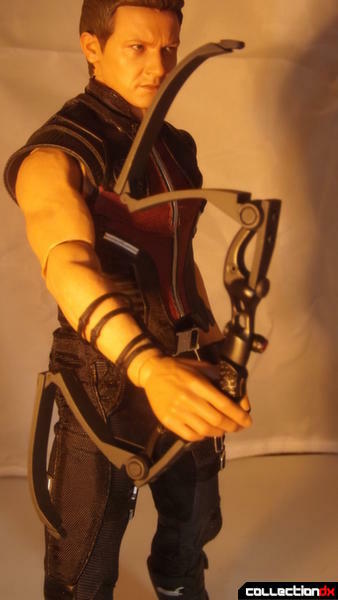 At the back there is a small clip that plugs into the string on the bow to aid in stability when posing, some of these have broken on a few of my arrows also (i know it appears im clumsy but they really are super fragile). 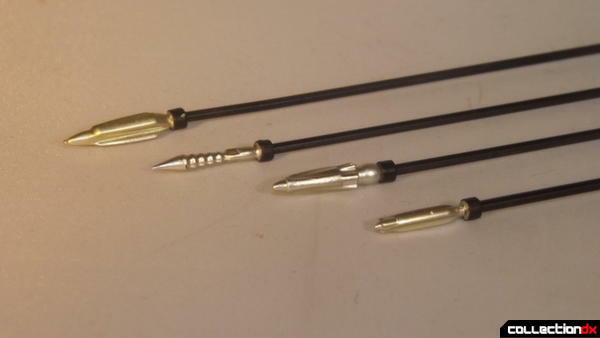 The 11 arrow heads are different, though 2 of them are the grappling hook arrowheads in open and closed configurations. 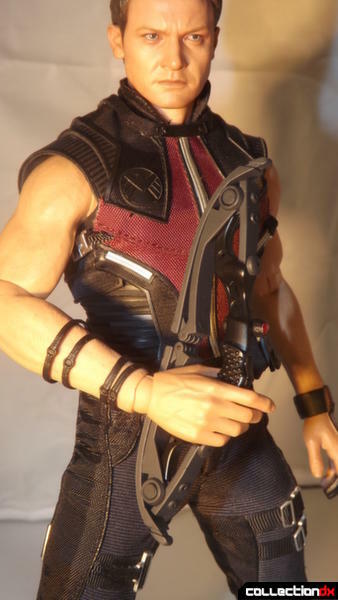 I can only recall seeing a few of these arrow heads in the film, but it's nice Hot Toys made the effort to make them individual. 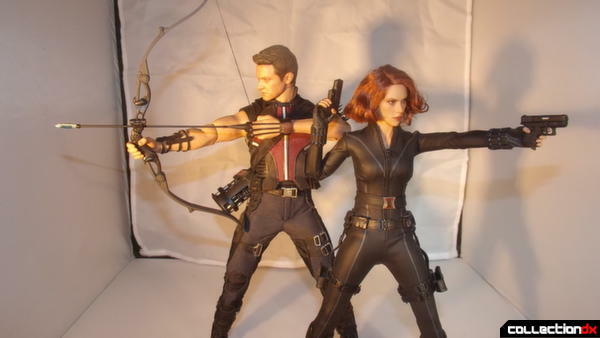 The second bow represents the folding up version Hawkeye used before the attack on the Hellcarrier. 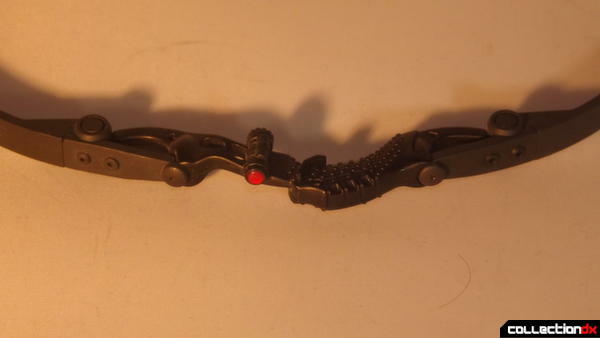 Each limb (the folding sections) has 2 joints. 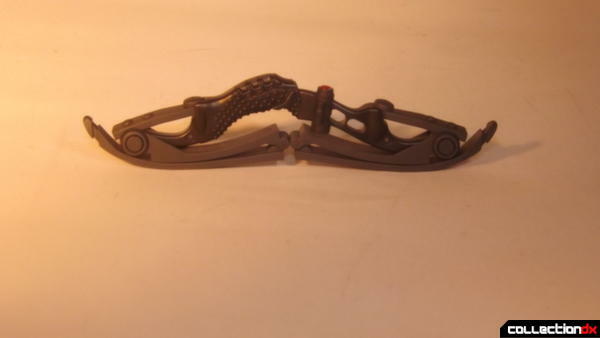 As i mentioned earlier this bow does not have string, the tension of the string would fold the limbs back on the first joint. 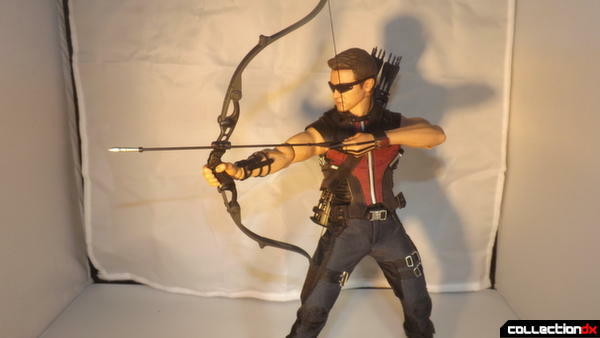 Either bow fits into both of the right hands that come with the figure (as he's a lefty), the left hands are not made to hold them. 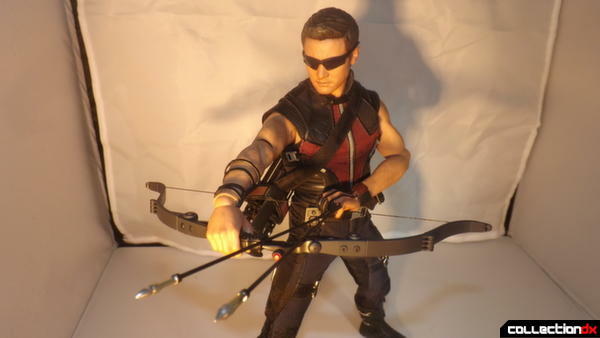 The stringed bow can also be placed over Hawkeye's shoulder for storage, though it does droop a little. 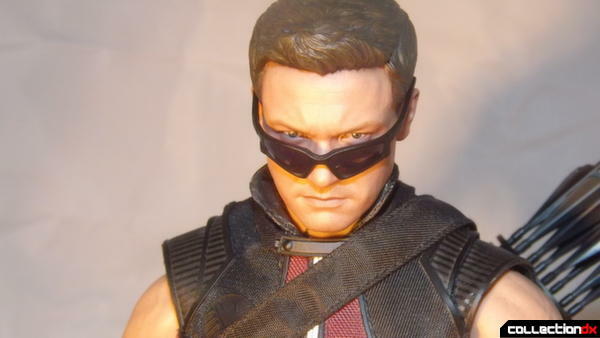 The sunglasses are the usual fragile sunglass design from Hot Toys, they slide over the ears and hold onto the face by friction. 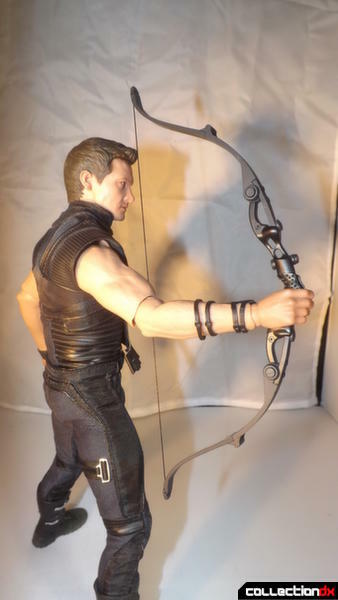 Posing Hawkeye with his bow and arrows can sometimes be difficult, getting everything into the right position and having the arrows correctly placed in the hand and bow can be frustrating. 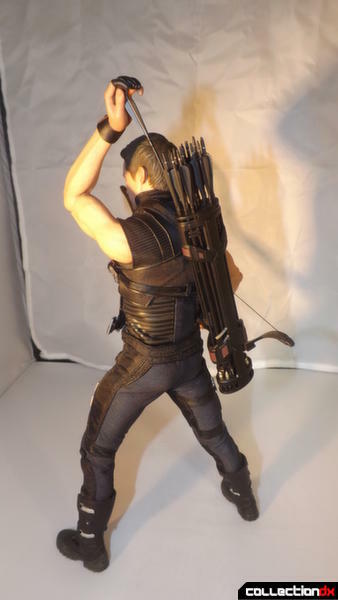 An extra elbow joint in the left arm would help with more posing as you can't get him to pose with the arrow in the bow with it close to his face (which is how you are supposed to shoot). 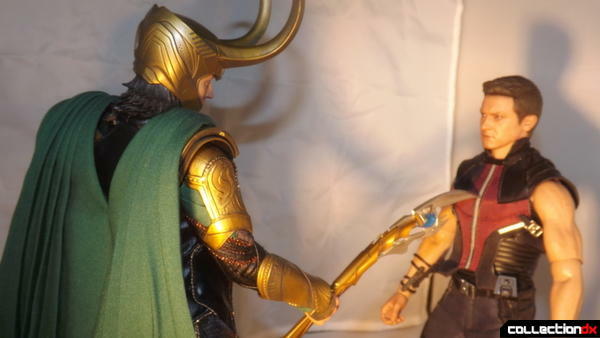 Having 4 different left hands allow for more options in posing, some are better than others. 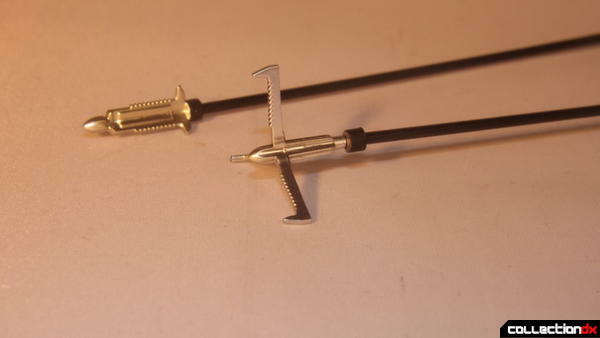 Some of them allow you to insert the back of the arrow into the hand, such as the pointy finger one, another let's you place the fletcher in between the index and middle finger. 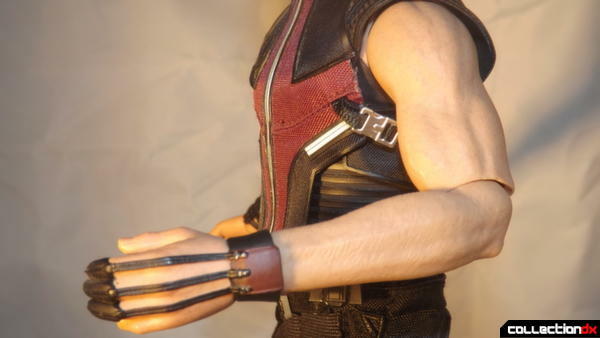 I do like this figure, the joints in the elbows may anoy some people, but i prefer it this way than Hot Toys using a rubber skin which may degrade over time, especially as the arms are posed the most. 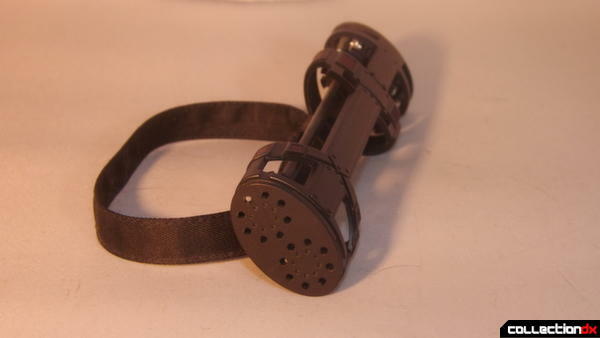 I've noted a few of the issues i have, such as the rubber sections that clip into his belt and the single elbow joint. 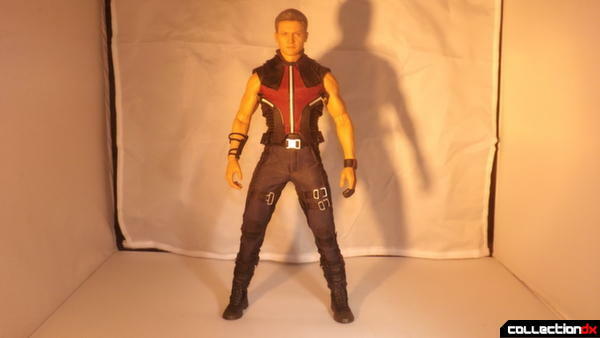 Hawkeye has some reasonable articulation, his legs are limited by the clothing but i can still get some realistic poses, he can kneel quite easily. 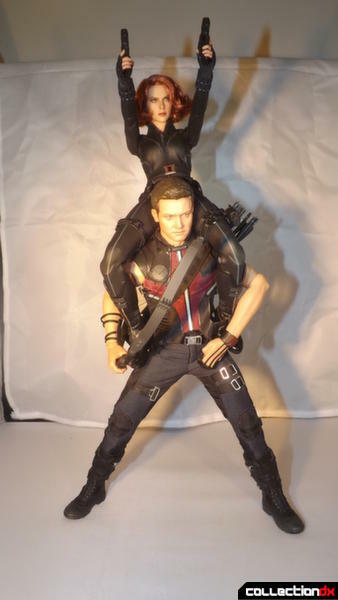 Overall, if you`re a fan of the Hot Toys Avengers line and you haven't got this figure, what have you been doing? 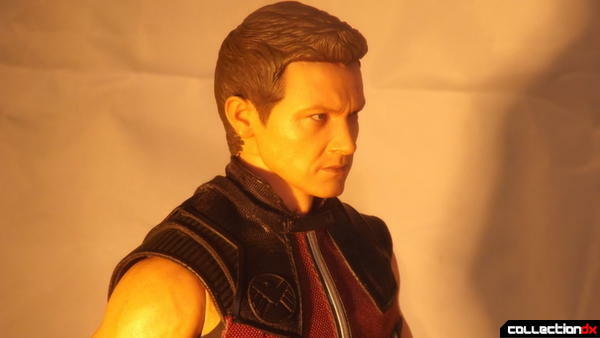 He`s essential for completionists like me.